Saturday, November 24, 2018 is officially Small Business Saturday – a day to celebrate and support small businesses and all they do for our communities. And they do A LOT. Small business success contributes to low unemployment, bullish stock markets, strong real estate markets, and increased wages – just to name a few. Small Business Saturday is a perfect opportunity to recognize the small business rock stars in your community. Our country was built on small businesses. Long before the Amazons and the Googles of the world, local small businesses reigned supreme. Every dollar you spent on commerce went right into your neighbor’s pocket. Shopping local was the ONLY option. Nowadays it seems like big businesses have stolen the spotlight. The truth is, they have. If you turn on Bloomberg News or scroll through your Twitter feed, big businesses are center stage. BUT that doesn’t mean small businesses are any less important than they were back in the day. Small businesses remain the backbone of our economy. When you frequent small businesses, you support local economic growth. Small businesses tend to hire locally. Therefore, the better small businesses perform, the more jobs are created in your community. Also, shopping local puts money back into your local economy – further strengthening economic growth. Each dollar you spend at independent businesses returns 3 times more money to your local economy than one dollar spent at a chain. Small businesses also foster a sense of community. Small businesses provide a comforting sense of community for their patrons that big businesses will never be able to replicate. In addition, small businesses are more likely to invest in their local communities. Small businesses donate more than twice as much per sales dollar to local non-profits, events, and teams when compared to big businesses. Small businesses are also more likely to be involved in local politics and religion – giving you the opportunity to frequent establishments with values that align with your own. Big businesses just can’t seem to keep their hands off Music City USA – first Nissan, then UBS, and now Amazon?? All this attention is great for the local economy – especially the real estate sector. But where did all this appeal come from? Small business success of course! 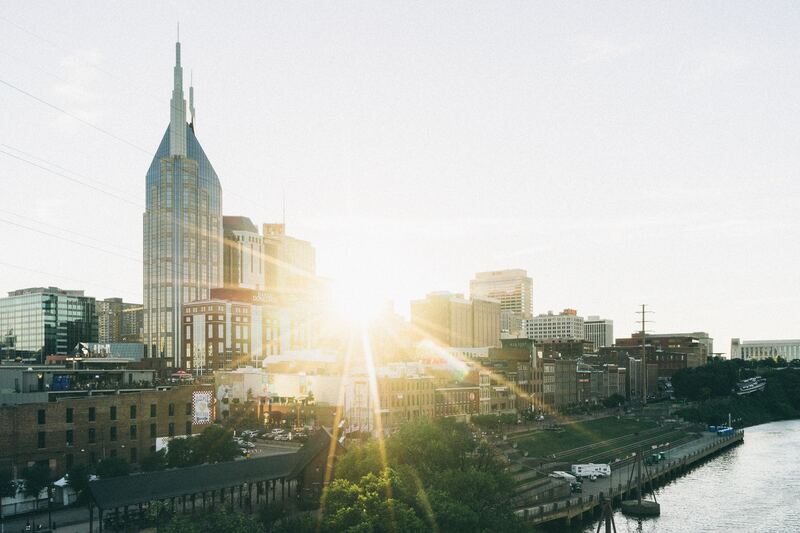 We can thank local restaurants, venues, doctors, lawyers, PR firms, and marketers – among countless others – for Nashville’s recent economic success. It’s small businesses like Chef Batts LLC, Jumpstart Foundry, and Slim & Husky’s – among many others – that make Nashville such a desirable city. With the influx of big businesses in Nashville, it is important for Nashvillians to continue supporting local small businesses. The city wouldn’t be where it is today without them. Small Business Saturday is a great opportunity to get out and show your local small businesses some love. Remember – when you support small businesses, you invest in your community and help grow your local economy. duGard Communications is a small business that has served the Nashville community for years. You have the dream. We have the strategy. Let’s make it a reality. Let’s chat.